GPS tracking device by “Man Power Technology” is characterised as very accurate vehicle, pet or children. Its operation is simple: person sets an area on special map and by doing this step he can follow an object. Take a look at “Man Power Technology” assortment online and buy it for reasonable price. 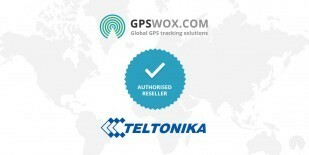 Man Power Technology GPS Tracker devices support GPS Tracking Software provided by GPSWOX. Do not wait and get your own Man Power Technology GPS Tracker device which support GPS Tracking Software.